Ideal for use on greenhouse staging, to hold water and avoid drips. Made of tough, rigid, injection moulded black plastic, they can also be used with gravel, sand, capillary matting or clay granules. Now available in two sizes: Jumbo - Large enough to hold 52 three inch pots, five standard seed trays, or a full size grow bag. External size approximately 117 x 40 x 4cm (46 x 15¾ x 1½") deep. 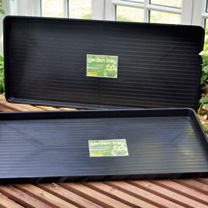 Also available Giant - The largest tray available, fitting perfectly onto the top of most greenhouse staging. External size approximately 120 x 55 x 4cm (47 x 21¾ x 1½") deep. 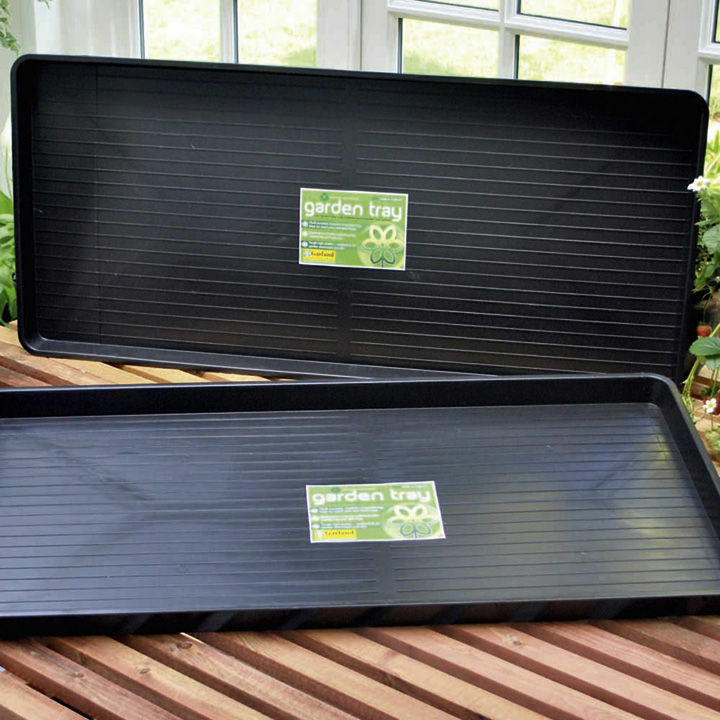 Tough, rigid trays with many uses that are available in two sizes!